AN AVID fan of big bikes, President Rodrigo Roa Duterte will grace the National Federation of Motorcycle Clubs of the Philippines (NFMCP) on April 5, 2019 at the Iloilo Convention Center. Pres. Duterte is expected to arrive in Iloilo City between 5 p.m. and 12 a.m. midnight and will be welcomed by Mayor Jose Espinosa III at the Iloilo International Airport. In an interview with Victor Facultad, Iloilo City building administrator and chairman of the 25th National Motorcycle Convention, the President, who is also a biker, has been attending their convention every year. 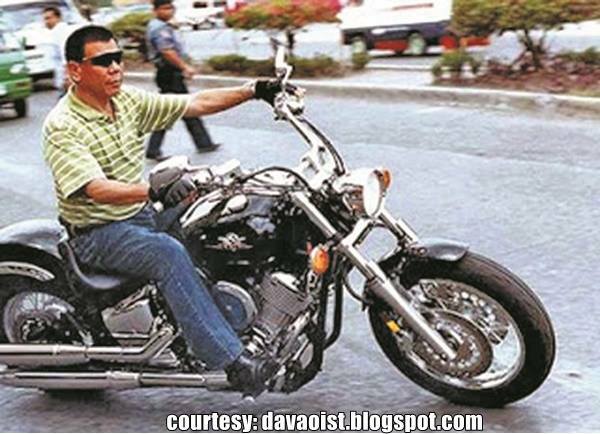 “Biker na si Pres. Duterte that is why naghmbal siya makadto siya because every convention ara siya,” he said. Facultad said they already held a meeting Thursday afternoon with the Radio-Television Malacañang (RTVM), Presidential Management Staff (PMS), and the protocol officer to discuss security preparations for the President. The two-day event, which is hosted by the Iloilo Motorcycle Club (IMC), the oldest bike club in the country, is expected to gather around 2,000 big bikers across the country, according to Facultad. Facultad said that they are expecting mayors from the nearby provinces who are also bikers to join their event. Now on its 25th year, the event will include a massive parade of exotic bikes for an 11 kilometer unity ride from Iloilo Convention Center to Anhawan Beach in Oton Iloilo. The highlight of the event is a social gathering for the bikers from the different parts of the country on Friday night. “We will have a social gathering or a fellowship night on Friday and this is where we will mingle with the different co-bikers,” Facultad said. Aside from races, entertainment programs, and display booths, a video presentation on the journey of IMC’s from its inception on February 1948 will also be shown during the convention. To be featured in the video are mostly old photographs taken by Francisco Daban Jr., IMC’s 82-year-old member who has consistently documented many of the club’s significant activities since the 1950s. Daban was able to capture photos of IMC riders escorting General Douglas MacArthur during his Iloilo visit in 1956, IMC riders joining the entourage of Pope John Paul II at Manila on 1983 and other memorable images showcasing the glorious history of the past like drag racing, big motorcycle parades during town fiestas, and even charity work.